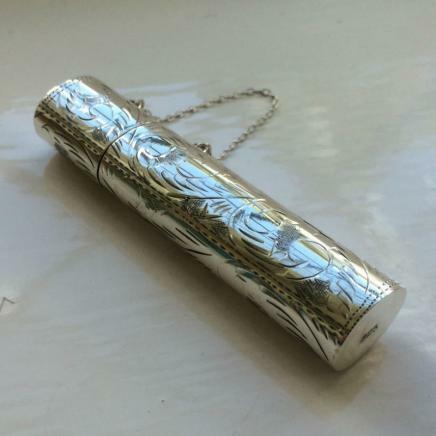 I have for sale a wonderful sterling silver tooth pick holder. The container has a beautiful embossed foliate detail. The underside of the tooth pick holder is hallmarked ‘925’. This lovely piece is offered in great condition. I will ship worldwide. Please get in touch for a shipment quote.